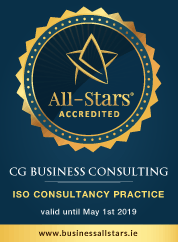 Your organisation could benefit from a FREE ISO 13485 Consultation with CG Business Consulting. ISO 13485 is an internationally recognised standard that sets out requirements for a comprehensive management system for the design, development, manufacture, installation and servicing of medical devices. It is often seen as the first step towards achieving compliance with European, Canadian and other regulatory requirements for medical device manufacturers. This system is essential for any organisation operating at any tier in the medical device supply chain.